This level has hard difficulty and you need to use good strategy to complete this level. 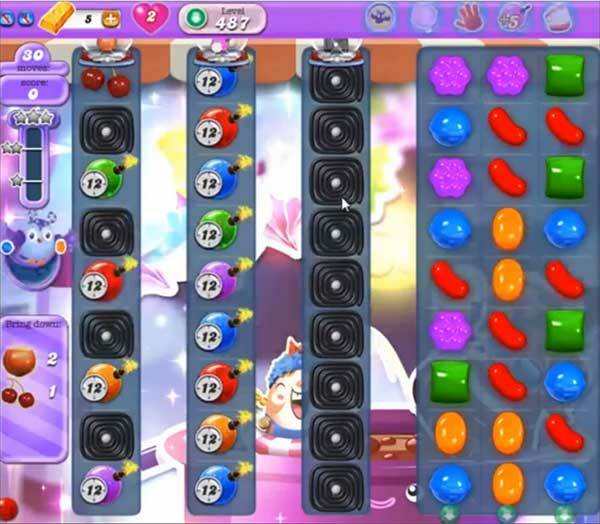 For this level you should try to play from left part of the board and make colorbomb by combining five same color candies. Combine colorbomb with striped candy to break blockers and time bomb on left part of the board. After play near to ingredients to take them to the right bottom part of the board to reach the target.